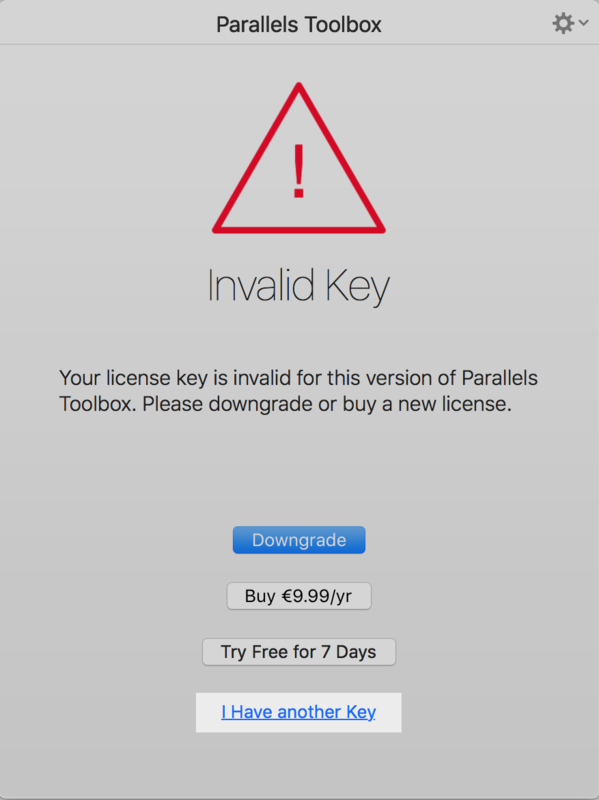 Your license key is invalid for this version of Parallels Toolbox. Please downgrade or buy a new license. A technical issue with Parallels Toolbox. Before proceeding with troubleshooting, please send a technical report via Help menu > Send Technical Data... > once the report is generated, fill in your contact information and click 'Send Report' button. Visit My Account to find your license key(s). Enter and confirm the license key. Make sure your Mac is connected to Internet.